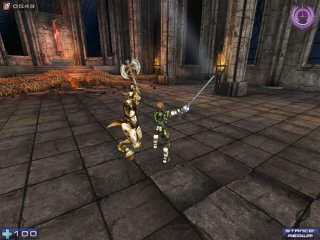 Chaos Duel is all about 1-on-1 fighting (though some multi-player options are available), and supports 4 separate weapon modes for a variety of playing styles. Duel also features, as one of the 4 weapon options, an all new 3rd person melee fighting system, which comes complete with new weapon models and custom animations. As well as a diverse set of maps created specifically for this game type, all of which can be played in any of the weapon options. No matter which style of Duel you chose to play, the basic rules remain the same; two (or more) players will enter the map and fight to the death, while the rest wait ‘in line’, and watch the action. The loser is removed from the arena and placed at the end of the line, while the winner stays in to take on the next challenger. All health and ammo are reset, and the next Round begins. 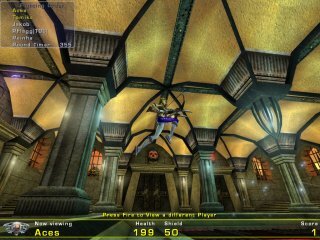 In addition, each round is timed, so that if neither player has died (suicide or frag) before the time runs out, then both players are removed from the arena. In order to get a Victory in Chaos Duel, somebody’s gotta die! The server admin determines if a single frag wins each Round, or if you must frag them twice to get the Victory. Admins also decide how many Victories a player must have in order to win the Match, which is when the map will rotate. 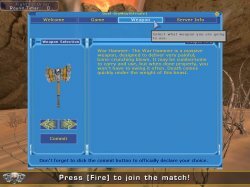 All this is then handled automatically by the Chaos Duel game type, so all you need to do is join the game, watch the action and wait for your turn…., then fight to stay in control of the arena! 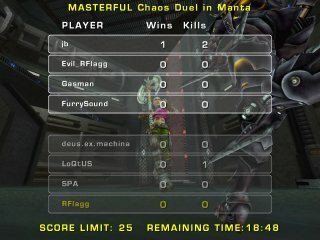 Chaos Duel also comes with full bot support, so you may line up your favorite bots and play with all these options offline as well. 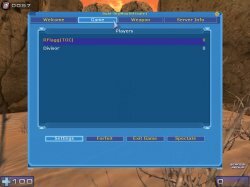 To start a game with the Chaos game types, you must first hit the ‘Community’ tab in the main UT2004 menu in order to load the Chaos mod, or use the custom ChaosUT2 desktop shortcut to start UT2004 with the Chaos mod already loaded.See the ‘starting chaos’ page of this manual for more details. 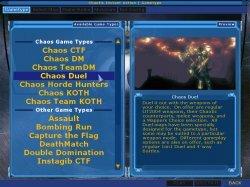 Once Chaos is loaded, and you’ve selected Instant Action from the main menu, you will see the game types menu, and from here you can select Chaos Duel. Then hit the Select Map tab, and all the Duel maps that you have installed will automatically be displayed. Time Limit – This one works nearly the same as standard UT2004. If nobody has reached the score limit, then whoever is in the lead when this time runs out is declared the winner. However, if there is a tie, the game will go into overtime. Round Time Limit– This is the maximum length of time each individual Round will last. If neither player has died by this time, they are both removed from the arena, and no points are awarded. Weapons Option – There are 4 ways to play Chaos Duel, 4 different choices of ‘weapon modes’ to play with. 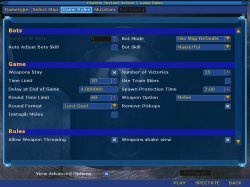 UT2K4 – With this option, you play with all the standard UT2004 weapons. You are given most of the standard weapons, and maximum ammo for each one. So you will spawn with the rocket launcher, and 999 rockets for example, along with most of the other weapons. NO superweapons are included. Players are given full health and 50 shield to start each match, but there are no pickups available in the maps. Chaos – This is the version that gives you most of the standard Chaos weapons each time you spawn. You will be given maximum ammo for most weapons, but some have been limited to better suit Duel game play. Players are given full health and 50 shield to start each match, but there are no pickups available in the maps. Map – Duel map authors can set up to 7 weapons as the ‘Mappers Choice’ weapons, and if you pick this option, you’ll play with whatever the author of that map selected. Players are given full health and 50 shield to start each match, but there are no pickups available in the maps. Note: this option allows for both melee and non-melee weapons in the same match! Goal Score – In Duel this is the number of Rounds a player must win in order to win the Match. Round Format – There are 4 game types within Chaos Duel, which allow for a wide variety of play. 1 on 1 Duel – Classic Duel. Only 2 players will enter the arena at a time, and all other players will wait in line for their turn. Whoever wins the round gets a point, and stays in the arena. 1 on 1 Best 2/3 – Exactly the same as classic Duel, with one important difference, each Round is treated as ‘Best 2 outta 3’. Meaning that in each Round, you must frag your opponent twice to win and get a point. At the request of our fans – two modes for multi-player Duel are now available! 4 Way Battle – Same rules as classic Duel, except that the first 4 players in line all enter the arena at once. You must be the last man standing to win the Round. The 3 losers are removed to the end of the line, and 3 more will enter to face the winner in a new Round. Last Man Standing – This is chaotic dueling. Every player enters the arena, and the last man standing wins that Round. Then a new Round stars, again with all players, and so on, until the score limit is reached, or Match time runs out. Remove Pickups – If checked all pickups will be removed from the maps. This is the default screen you will be shown when entering the game. You can see the name of the map you are about to play, and if it’s ‘Best 2 outta 3’ for this server, and so on. Next, click on the ‘Weapons’ tab to get further information about the weapons in use for this match, and/or select your choice of melee weapon. This screen will let you know which weapons are in use for this match. If it is a melee match, this is where you choose which weapon you want to use. Simply scroll left or right with the arrows, and then click on the “Commit” button to save your choice. If this is done mid-game, your choice will take effect next time you spawn. 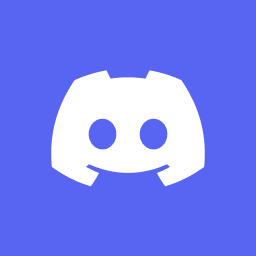 This means you can try all the melee weapons without having to leave the server or restart your game. 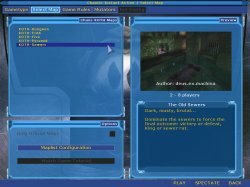 Use this tab to get to the normal UT2004 escape menu options. This shows what the HUD looks like while you are actually playing. The top left shows the Round clock, somebody must win before this time runs out, or a tie is declared and the players are replaced. And when using a melee weapon, instead of ammo down on the bottom right, you will see which ‘stance’ you are in at that time. As always, the top right will either indicate how much adrenaline you have, or which relic you are carrying, depending on which option you’re using. This shows what the HUD will look like in between frags/rounds, and also if you are spectating, waiting for your turn to fight. In the top left corner of the HUD, you will see the “Fighting Order”. The names listed at the top and highlighted in yellow are the players who are actually fighting right now. The rest of the names are listed underneath them according to their playing order. In the new CUT2 spectator view, the player’s health and shield information is displayed in the lower bar. The names listed at the top, separated a bit from the rest and highlighted, are the players fighting right now. The rest of the players are listed according to their playing order. The ‘score limit’ at the bottom of the scoreboard indicates how many Victories are required to win the Match, and the ‘remaining time’ is the length of time left for this Match. NOTE: This is NOT the same as Round time – this is overall Match time. When this time runs out, whoever is in the lead is declared the winner, and the map rotates. When using the Remote Admin feature to set up a Duel match, use the ‘Game’ tab in order to set the various Duel options, such as Round Time, weapon mode, and ‘Best 2/3, and so on.